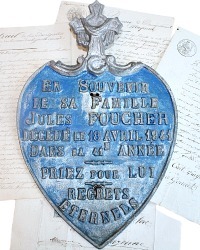 Rare Large French Memorial Plaque, in a shield shape with a draped cross on the very top, made of heavy cast metal with raised lettering. 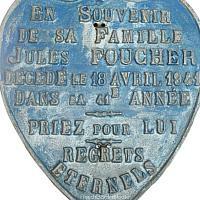 This was originally used as a memorial marker, in memoriam for Jules Foucher, April 18, 1941. 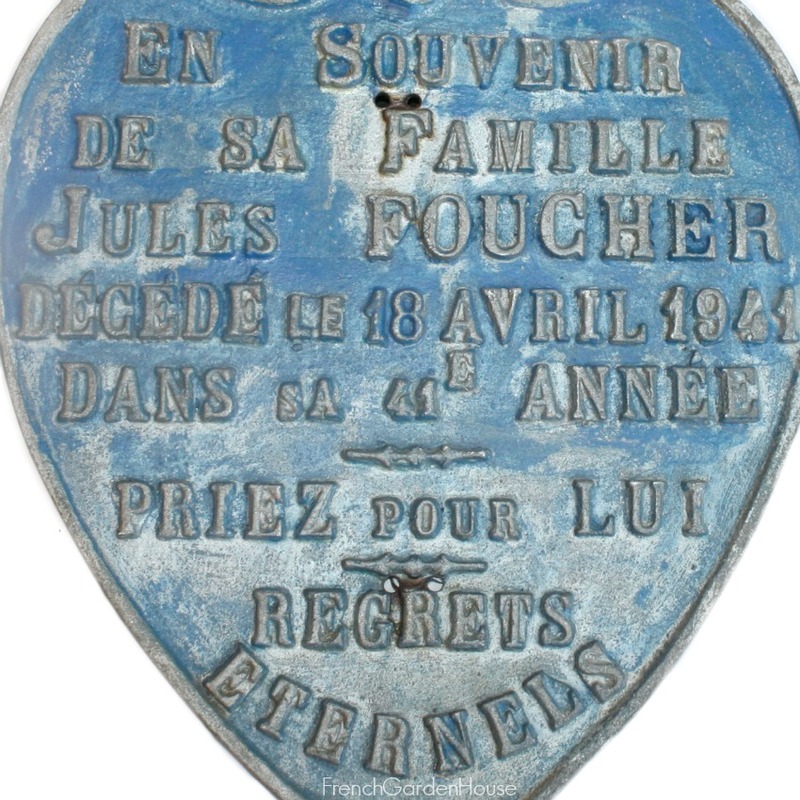 This has remnants of blue paint. Beautifully decorative, in a dark gris or grey finish, there are two holes in the bottom and the top used for attaching this to a gravestone or wooden door. 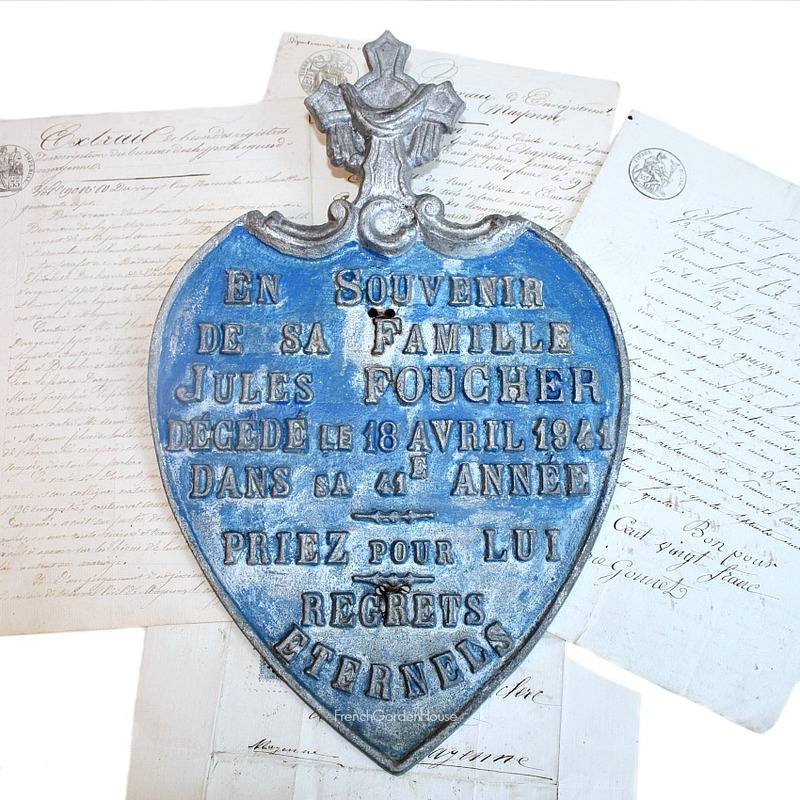 Collectible piece of French history, wonderful on display with a collection of religious antiques, saints and madonnas, or outdoors in the garden. 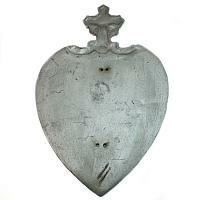 This is one of the largest I've ever found.